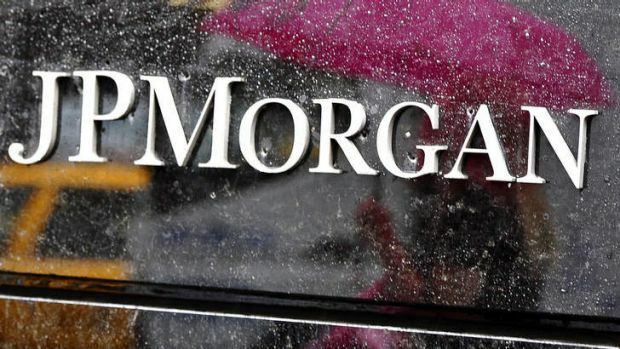 A technical support person who worked for JP Morgan in Australia claims the bank regularly misled its New York parent and the US Federal Reserve by failing to report losing trades. The explosive allegations are contained in a submission by the person to the Senate inquiry into the performance of the Australian Securities and Investments Commission. BusinessDay has met the person and agreed to allow him to remain anonymous. He appears to be credible. The person complained to ASIC and later went to work for the regulator, but he said the regulator failed to investigate his claims. A spokesman for JP Morgan denied the allegations. “The claims are false and misleading,” he said. In his submission, published by the inquiry, the person said he was employed at the Sydney office of JP Morgan between 2004 and 2007. He worked for a team involved in the post-trade management of the bank’s OTC (over the counter) equity derivative business for the Asia-Pacific region. In 2007, before the global financial crisis, he became increasingly concerned by “certain practices that appeared to circumvent regulatory commitments and risk management expectations,” he said. Misleading reports being provided to head office and the Federal Reserve Bank of New York on the number of outstanding trades. Trades not being booked into the system until they were ”in-the-money”. Trades not booked into systems and only being tracked by paper-based legal agreements, which would be ”torn up” if required, thereby leaving no trace. Bypassing or attempting to bypass the opinions of in-house lawyers to complete work faster, even if this resulted in incorrect legal agreements being signed by the traders and sent to other major banks as final confirmation of the terms of the trade. The person said he sought to discuss his concerns with lower and middle management but was warned that ”front office would get rid of me if I persisted”. ”JP Morgan’s ‘Worldwide Rules of Conduct’ state: ‘The most important rule is also the most general: never sacrifice integrity, or give the impression you have, even if you think that it would help JP Morgan Chase’s business’. He said his inquiries resulted in him being threatened that his employment would be terminated because of the complaint. The person was employed by an agency. ”I was informed that I would not be paid my outstanding salary and any future salary until I signed a new employment contract reducing my notice period from one month to one week,” he said. ”My contract was terminated shortly after for ‘economic reasons’. The person lodged a complaint with the Fair Work Ombudsman and said he authorised and urged the agency to contact ASIC but that it declined to pursue the matter. The person formally reported his claims of misconduct to ASIC on November 27, 2008. He subsequently met two ASIC employees on January 5, 2009, at the regulator’s Martin Place offices. He claimed the officers displayed little understanding of the matters raised and asked why he had made a misconduct report. ”The interviewers were surprised and somewhat incredulous by my response that I believed it was the right thing to do,” he said. On May 16, 2012, the person addressed an online inquiry to ASIC (attached to his Senate submission) regarding the whistleblower protections in the Corporations Act. He said the regulator declined to afford him whistleblower protection. A report from the Senate inquiry is due on Friday but is likely to be delayed.